Any leader straining under the weight of his or her position needs to read this book. 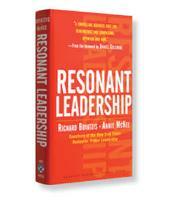 Boyatzis and McKee attempt to reverse what they term the "dissonance" suffered by leaders. A leader is expected to deliver success quarter after quarter with an ever-increasing list of objectives. This book helps executives maximize their strengths and conquer the challenges of their unique place in the organization.